You can probably call it a fact, i draw cats with really big feet ... and this one has a huge mouth too. I really like how this little undead ferocious and probably vicious zombie cat turned out. 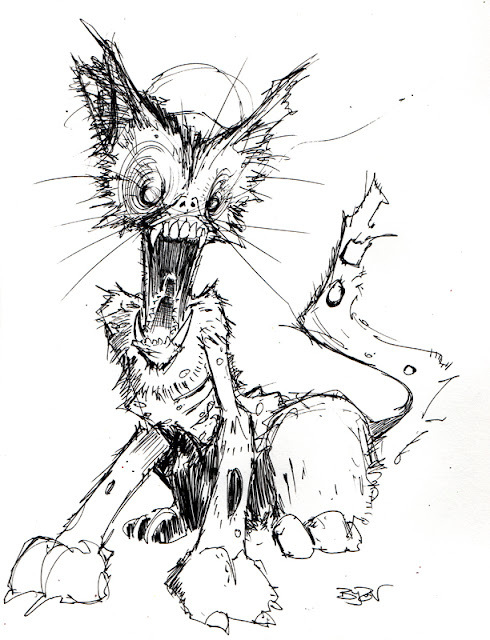 A fun sketch that quickly escalated in to a full figure kitteh ... with big feet. The jaw was a fun mental challenge, and now I've leveled up in my open mouth drawing skills. How the hell is everyone doing today?